How Can the Southwest’s Communities Make Installing EV Charging Easier and Cheaper? The best time to plan for an electric vehicle (EV) charging station is before most consumers even know that they will want one. Communities that require builders to install EV charging capabilities in new apartments, single-family homes and commercial offices will make the transition away from gasoline-powered cars easier for their residents. Moreover, these 21st Century building codes will encourage consumers to consider purchasing EVs and help the communities take an important step toward a more sustainable energy future. Some local governments have figured out an answer to how to make the changes happen. Recently, the cities of Boulder and Aspen, Colorado, joined the City and County of Denver, Boulder County and Salt Lake City in adopting an “EV Ready” building code. Essentially, EV Ready means that there will be at least sufficient capacity in the electrical panel for a future Level 2 charging station (which allows much faster charging than a regular outlet) and that there will be wiring or conduit from the electrical panel to the garage or parking area. Incorporating EV Ready language into building codes will save future home and business owners money and headaches when they need to add EV charging. Indeed, lack of charging at home is a major barrier to EV adoption especially for residents in multifamily housing, and research from the U.S. Department of Energy shows that employers at workplaces that provide charging are far more likely to switch to EVs. At least two spaces must have a Level 2 charging station in new multi-family and commercial buildings. The vote comes about a month after Aspen, Colorado, also adopted an EV code that requires new single-family homes to be EV Ready, and that multi-family homes have 3 percent of parking spaces that are EV ready. Jim Hartman, a Colorado developer, says he supports EV Ready because “As a developer and owner of energy-efficient and EV-friendly buildings, we have found that those features are increasingly desired and appreciated by future building owners, tenants and visitors. Those features also give property owners a competitive advantage over other buildings that are not EV ready, especially as EV use grows in the future." In 2015, Denver also began requiring that new single- and two-family homes be EV Ready. SWEEP had sponsored that amendment. In 2013, Salt Lake City said new commercial buildings must dedicate 2 percent of their parking spaces to EV charging stations. The state of Utah sets building codes for municipalities, so Salt Lake City instead incorporated the EV Ready language into its zoning code. 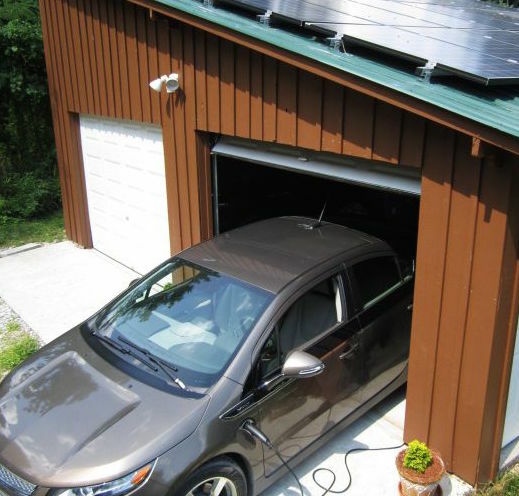 In 2012, Boulder County, Colorado also required new single- and two-family homes to be EV ready. The county added new commercial buildings to the EV requirements when it updated its building code in 2015. Cost: Running wiring or conduit during new construction is much easier and cheaper than retrofitting a structure later. Installation costs can easily rise thousands of dollars if contractors have to dig up a yard, driveway or parking lot to run wiring during a retrofit. Ease: When a building is EV ready the owner only needs to have an electrician put in the actual charging station. There’s no digging, punching holes in walls or other complicated installations. Growth: Over the next 35 years, the Southwest likely will continue to experience lots of population growth, which means lots of new homes and businesses. The state demographer predicts that the city of Denver alone will see nearly a 20 percent surge, adding 130,000 more residents by 2050 to its existing population of 683,000. Communities that require developers to build EV Ready homes and apartments will save their future residents, collectively, millions of dollars. Encouraging EV adoption: Having EV charging available in multifamily housing and at workplaces makes tenants and employees much more likely to switch from a gasoline car to an EV. Every city and county in the Southwest should consider adopting EV Ready code requirements.